Tonight a Brave Young man is fighting for his life. He may have days, months or minutes left. I put my daughters to bed tonight after sitting on Gabby’s bed, came downstairs, and became angry. My family has been through so much. We said “See you later” to Gabby 5 months and 1 day ago. I’m not angry because of that. Devastated, yes, angry, no. I’m Angry because Oliver fought for over two years and is in pain. My girls ask about him daily, Katie draws pictures for him. He loves Harry Potter. When we went to universal studios and walked through The Harry Potter World both girls kept saying how much Oliver would love seeing everything they were seeing. I’m not angry with God, I’m angry because I want this little boy to live. I haven’t met him but if it would save the pain from his parents I would give up my life. Any of these children deserve a longer life. They need to go to the Prom, get bad haircuts and wear what us as parents might call silly. Instead there are so many that fade away without ever seeing the world. Oliver we are all sending you our strength, courage, and positive energy. But believe me when I say this buddy: You are stronger, braver, and more positive than most people in this world. We never say goodbye in this house, just see you later. And Oliver I would be honored to see you later my friend. This is a subject that most people don’t want me to talk about. Remember it’s just my thoughts. I don’t judge others and call them wrong, so try not to judge me. I believe in God. He didn’t give Gabby Cancer and neither did Satan in my opinion. When I started writing I was angry with God, I doubted God. The priest of my parish came to our hospital and said pray for the doctors so that they could take care of Gabby. At first I didn’t understand this. I over thought it. In my mind they are just tools of God, if he wanted he could give them the cure. I was wrong. That’s not what the priest meant. I know that now. Gabby had cancer; nothing was going to change that. The environment, the water, a freak accident of cells in her brain. Who knows? I don’t and most likely never will. God didn’t give Gabby cancer, but I do believe he was with her, gave her strength and courage. He helped us and keeps helping us wake up and deal with the hand that life dealt us. He can’t cure cancer, what he can do is stay by our side as our children and loved ones fight it. He helps make it possible to go on when all else seems lost. Not because we want to, but because we have no other choice. A person once posted that “God needed her for something more important than this silly thing we call life” I also don’t agree with that. God was with her and she is somewhere right now watching us. I’ll see her later. I however refuse to believe life on earth is silly. Life is precious, every minute, and every breath. Don’t forget that. It’s easy to take it for granted. It’s easy to say I’ll play with you tomorrow, or we can see that movie next time. I sit here writing this looking at a penguin we got gabby in the hospital sitting on her chair. It hurts so much but I remember the way Gabby hugged it in the Hospital, she was happy for a few minutes. Precious minutes. Remember that while you sit and watch the Grammys, or get your oil changed. How amazing it is to be alive, to feel, and to be able to make a difference. Making a difference with the foundation. A difference… that’s what The Get Well Gabby Foundation is all about. Making sure every voice, every name is heard. Making sure we see advancements and a cure one day. So donate on Gabbys web page or send in donations to make a difference. If you have no money, it doesn’t matter do something else. Help spread the message of warriors like Gabby and Oliver. Perform a random act of kindness for a stranger. Appreciate life. That’s all we ask. Be like Gabby, Oliver, Logan, Trey, Luca, Guiliana, Lexi, Miette, Victoria, Mackenzie, Valentina, Maddie, Nathan, Espn, and the many other children that have fought and are currently fighting for their life!! Be a hero to them because they are heroes for all of us. I believe, and I will help spread the word and make a change! Keep fighting vogels you guys are doing great! I cannot begin to understand how you and your family get through your days and continue to have such a positive outlook at life. I can see that going through something so horrific as watching your sick child slip away from you helps you appreciate all the little things and treasure all the times and memories you shared together. You inspire me. When I read Gabby’s story and continue to read you updates I admire your strength to carry on. Take care of you, take care of your family, and NEGU! Perhaps one day this nasty monster called CANCER will be beaten! I am having issues w my (healthy) son…I let him do whatever he wants and give him whatever he wants (ever since I started following your page) because life is precious and I keep thinking, “what if I only have one more day with him?” He doesn’t listen to me at all now and I realize if I keep this up, he will be an awful adult! So don’t feel bad for ANY time you didn’t give her something, or for any time you didn’t do something she wanted. You gave her the best gift by letting her live life. She didn’t feel slighted by anything you ever did or didn’t do…she felt loved because of the times you disciplined her or “didn’t feel like playing” with her. I hope you can let any of that guilt go, and your daughters can, too. This might sound like a weird post, but I just wanted to let you know that you are great parents and siblings and she knows you love her <3 She was special and will ALWYAYS be remembered, even by perfect strangers. 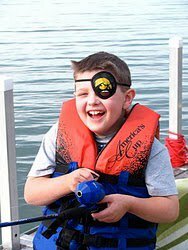 When our son was sick with cancer (and later died) we made sure that we kept up with discipline. One day I had to punish him and while doing so, with tears I told him that I loved him too much to let him grow up to be a bad boy. We felt that if we stopped doing what we needed to do as parents, he would feel that we had given up on him. Prayers for Ollie, his family and all others fighting this horrible disease. As always John, you have written something very inspiring. Thank You! We are Grandparents who love our lord very much and we have two wonderful grandchildren . We are so thankful for them , We also in our life time here on earth accepted the responsibility of praying for children every where . We recently became aware of children suffering with this horrible disease . Having many relatives and friends who have fought this fight , we consider it a blessing to join others in prayer asking first for the cause to be revealed to someone as well as the cure for all forms of this dreaded disease . We thank Jessica Reese for her enlightenment to the many needs in the hearts and lives of all of you . I understand your sentiments John and feel exactly the same way. Thank you for all your honest posts. This is so powerful. I agree that life isn’t silly, and I believe in this fight. Gabby’s story, Oliver’s story, and the countless others- As ugly as life can be, I can’t imagine how beautiful your reunion will be in Heaven one day & how beautifully you and your family are carrying on Gabby’s story and strength. I came across your story just a day ago and was touched immensely. I, myself have 3 children of my own, have gone through cancer myself and could not fathom one of them having had it. I am so sorry for your loss and I have a place deep within my heart for fighting against the jackass your family calls cancer. I also know that God was with me during the time I was fighting cancer, helping me get through the hard days. I had friends ask how I could still believe, but I said He didn’t give it to me but He will get me through. My husband had a hard time with this. I do know we cherish every minute, cherish family, friends, life in general. It is too short. I refuse to stress as much as I used to. I sometimes feel myself falling into those old habits and then I will feel my port or see my surgery scars or hear my kids laugh as hard as they can and remind myself, yes, this is the right way to live…and like you BELIEVE that someday there will be a world without cancer for everybody,,,,especially children,,,for they should never, ever have to deal with it…Your family is a strength to many,,,God Bless you all and Gabby…. Loved your comments on God. I too had those same feelings when my mother passed away from Cancer. I read your posts on facebook and every single time I read them it makes me stop and think about what is really important in life….for that I thank you and Gabby! John, I’m not sure how to say this properly, but it is amazing and powerful to watch you and your family endure and grow stronger in view, purpose, and faith. 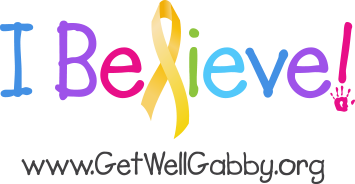 While my words most likely mean little to you, yours are a benefit to all that read about Gabby, other children, and families facing this awful disease. John and family – sending you love and wishes from London UK.